1ride package Open tuesday - sunday between 9.00 am and 5.00pm Shuttles from Cairns CBD, subject to availability. 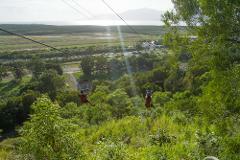 NB: We also open other hours including night time for pre booked special events & other zip line packages. 3 ride package Open tuesday - sunday between 9.00 am and 5.00pm Shuttles from Cairns CBD, subject to availability. 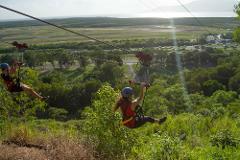 NB: We also open other hours including night time for pre booked special events & other zip line packages. 3 ride package include shuttles, water and head camera footage. Shuttles from Cairns CBD, subject to availability. 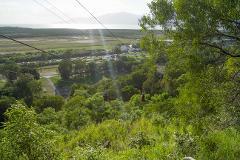 NB: We also open other hours including night time for pre booked special events & other zip line packages. All day wet and wild CAP tour Open Tuesday - Sunday between 9.00 am and 5.00 pm Shuttles from Cairns CBD, subject to availability. Wet and Wild Rainforest Trek Open Tuesday - Sunday between 2pm and 330 pm Shuttles from Cairns CBD, subject to availability. 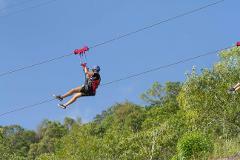 NB: We also open other hours including night time for pre booked special events & other zip line packages. Hike and Fly Open Tuesday - Sunday between 9.00 am and 5.00 pm Shuttles from Cairns CBD, subject to availability. 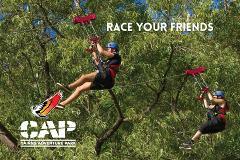 NB: We also open other hours including night time for pre booked special events & other zip line packages. 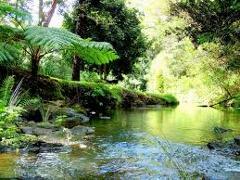 Creek Cruising Tubing Open Tuesday - Sunday between 9.00 am and 5.00 pm Shuttles from Cairns CBD, subject to availability. 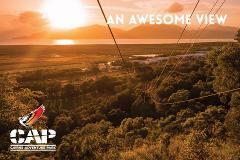 NB: We also open other hours including night time for pre booked special events & other zip line packages. Start off your evening with some exciting adventure! Enjoy our Megazip lines in the dark while racing the real flying foxes surrounded by awesome views of the airport and CBD at night! With shuttles to and from town when available. Included are all the activities CAP currently has to offer. 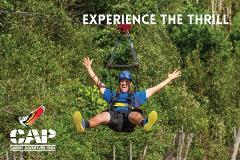 These include the flying leap mega zip lines, the ATV transfer, the El Open Tuesday - Sunday 9.00am - 5.00pm shuttles from the CBD and surrounds offered subject to availability. Included are all the activities CAP currently has to offer. More info included. Open Tuesday - Sunday 9.00am - 5.00pm shuttles from the CBD and surrounds offered subject to availability. 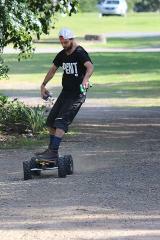 Introduction and experience of our electric mountain boards. A fun and unique experience of motorized skateboarding. 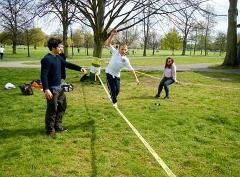 Receive a brief introduction into using the equipment and then go and race around the compound. Great fun for all!! !